Early adoption of electronics is not without its risks, especially for startup companies struggling to survive what some might refer to as "The Valley of Death", where a startup's early investor capital is running out and they are just beginning to approach the break even point. Many haven't made it and many more will not. Even if the startup is actually a spinoff or acquisition by a larger corporation, they are responsible for turning a profit and if they don't or if there are product issues or concerns that tarnish a reputation, they are unlikely to make it past the initial dip or even a second, or third round of funding without enough momentum to carry them forward. This is a growth industry and it's projected to be massive. The stakes are high and there will be many new companies, bringing forth amazing products and ideas, but unfortunately many will not be around to support your purchase. So if you're well to do, an early adopter who doesn't care about the risks or you're just interested in funding new companies without any monetary gain, then you may only be interested in discovering who has reliable options. If you instead need to take a conservative approach to this new idea of the smart home, then you will hopefully gain both perspectives here. 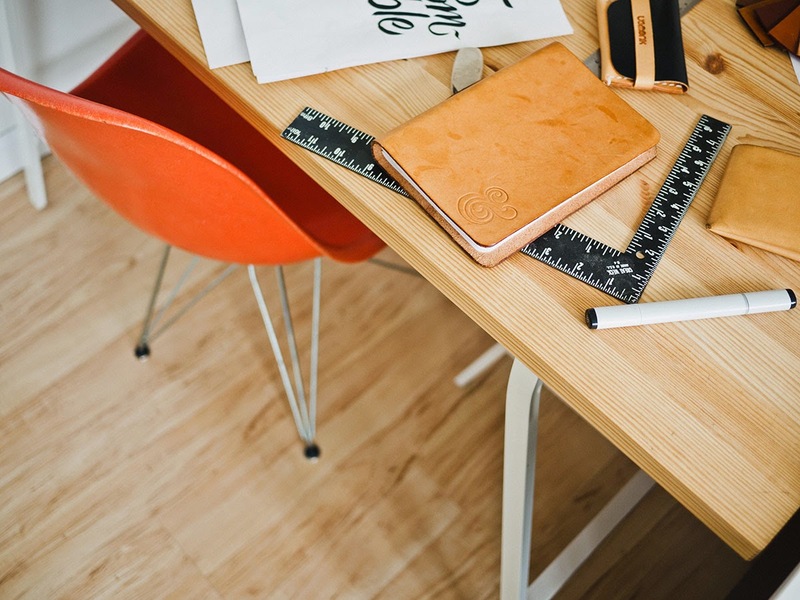 Your initial investment should be small. Look for a product or family of products that will solve a need or a powerful want. Spend a fair amount of time acquainting yourself with it to ensure you are happy and it meets or exceeds your expectations, but be realistic. Be cautious of products from startups that offer "a total solution" in a single purchase. With advancements and rapid changes in IoT communications and operating layers, the total solution doesn't exist and will not exist until the dust settles and the victorious emerge. As young as the Smart Home industry is, there are some established brands and communication protocols that are a pretty safe bet, but you have to make choices and at the moment, you will encounter limitations. Few offer everything, but do your homework and make sure the last point is well addressed. Even if there might still be potential security flaws (which is a risk factor you must consider), the company should have a documented and firm policy regarding the device security and updates to address any that are discovered. Apple is one such company and although they don't make any Smart Home devices, any product that is Apple HomeKit certified should meet that criteria as long as they are operated in the Apple HomeKit environment. To encourage adoption, most manufacturers products that support Apple HomeKit certified can also allow use with non-HomeKit compatible devices such as Android smart phones. If you connect your HomeKit certified smart home devices with non-Apple phones, tablets and uncertified hubs, the HomeKit security precautions cannot protect you. You will then become partially responsible for ensuring your device is securely connected to the internet. If you want to have maximum choice in the smart home of today, you should also expect to have multiple hubs in your house. A hub is typically in the form of a small box and is a device that connects your home network either via ethernet cable or WiFi, to the smart home devices that you want to control. It is the translator from the internet to the language that your smart home devices speak. Since there isn't one standard, it's best to keep your options open with at least two hubs and at least two different supported communication protocols among the two hubs. Expect to pay between $50 and $100 for each hub, depending on whether they are on sale or part of a kit that might lower the initial purchase price. Look ahead and plan what you might want to do and how you think you might like to use and interact with your new smart home. One of the hottest smart home products this year is the Amazon Echo. What looks like nothing more than a Bluetooth speaker about the size of a tennis ball can, is in fact an assistant like no other. Echo spends it's days waiting for its wake word "Alexa", and then springs to life with the ability to control the physical world on your command. The Echo is a marvel of natural language research that is sure to impress. This well designed gadget responds very quickly to every voice that's tried it in our testing center, including a visitor with a very heavy accent. He was surprised and said that Siri has a lot of trouble with his voice. Today, Echo is able to natively control lights and outlets on hubs from Insteon, Philips Hue, Samsung SmartThings, Belkin WeMo, Wink and more are added on a regular basis. Echo can also control many other devices and perform other tasks via "Skills" which you could equate to apps on a smart phone or tablet. Another game changing connection service called IFTTT (If This Then That) is also available to Echo users. As you ask "Alexa" to turn OFF or ON lights in your home, tell you the weather, read you the latest news, read a book to you, convert a measurement or tell you the traffic ahead of your commute, to name but a few of it's many uses, you get the real sense that a Star Trek like future we've been waiting for has finally arrived. If you choose Apple HomeKit compatible devices, you can control them with Siri on iOS devices, but you'll need your iPhone or iPad near by, and all the devices HomeKit can control must bare the Apple HomeKit compatible label. Amazon Echo on the other hand can control devices and services from a much broader selection, and even some devices that allow both HomeKit and non-HomeKit compatibility. Amazon Echo pleasantly responds to anyone from across a room, without shouting or having to constantly repeat yourself. Decide what products you want and check their supported protocol before deciding how you will connect them. The current six most popular choices are Bluetooth LE, Lutron ClearConnect, Insteon, WiFi, ZigBee and Z-Wave. Each has strengths and weaknesses. None are dominant or perfect. • Bluetooth LE - Ubiquitous, secure and low-power consumption, but not yet capable of forming a mesh network, where devices help each other by repeating signals from one device to the next. This significantly limits the possibilities because the transmission range is so short. Few smart home devices exist that can address the current limitation and those that do may not be compatible with the future hubs that will support Bluetooth Mesh Networking. However, Bluetooth is the one to watch. We definitely expect to see the first Bluetooth Mesh smart home products at CES 2017 or at least in the early part of the year. • Lutron ClearConnect - Designed for lighting control, Lutron's proprietary protocol is used in the DIY Caséta product line and is well liked by those who are using it. It also controls Lutron Serena shades and certain Honeywell connected thermostats are compatible. While an Apple HomeKit version of their hub is also available, you must use Lutron switches and dimmers. Wink hubs are compatible with some of the devices, but controlling Serena shades still requires a Lutron hub. • Insteon - Mature protocol from a stable manufacturer that has a lot of experience with smart home and a large product selection. Most devices use a dual mesh network that utilizes both your home power lines and proprietary radio signals to repeat communications from one device to the next. The proprietary nature means the Insteon hub is restricted to controlling Insteon devices using the Insteon protocol, with the only exception being infrared devices via the Insteon to IR bridge and the just announced IP control of Sonos devices. • WiFi - Ubiquitous and devices do not require a hub. Problems can arise from signal loss (we've all experienced that with WiFi) as each device must communicate back to the main router because it is not a mesh network. Power consumption is high and this lowers the feasibility of battery operated devices, but new methods of using low power are emerging. Known as 802.11ah or HaLow, it has just been announced and is not yet available. You're also going to need a new WiFi router, so our advice is to buy a hub and enjoy having a smart home today instead of years in the future. • ZigBee - Supported typically in lighting products such as Philips Hue, GE Link, Cree Connected and others. Uses radio only mesh networking and power consumption is very low, but compatibility from one manufacturer's ZigBee device to the next is hit and miss. Most manufactures test and certify devices for use on specific hubs to avoid support issues and dissatisfied customers. • Z-Wave - A large catalog of Z-Wave device are available. Power consumption is higher than ZigBee, but much lower than WiFi. Communication is radio only and setup can be challenging. More than one type of Z-Wave exist and this can be frustrating for a smart home owner who just wants things to work. The Wink hub, for example is Z-Wave Plus compliant, but some Z-Wave Plus devices simply will not work with Wink. Which hub offers what protocol? 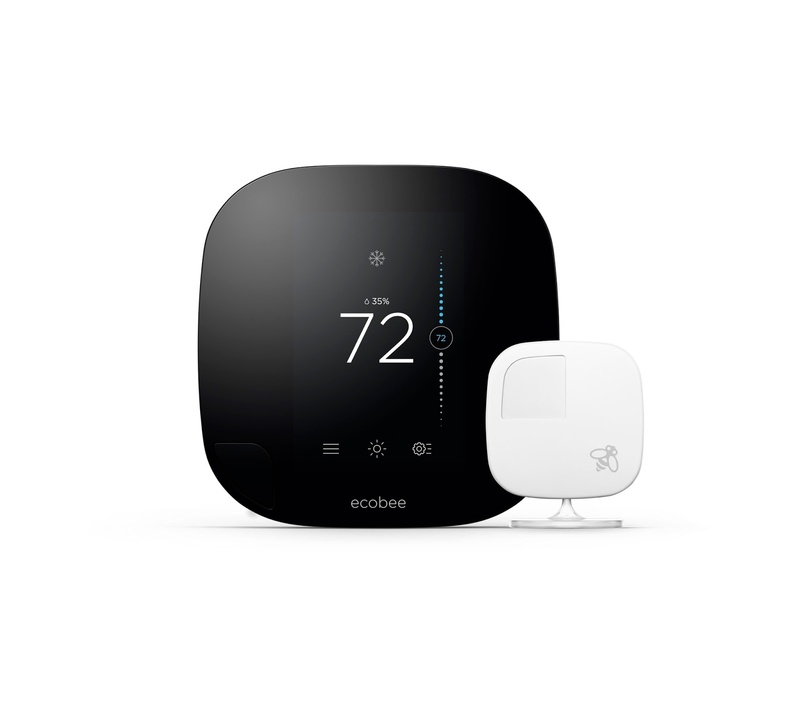 SmartThings v2 and Wink: Bluetooth LE, WiFi, ZigBee and Z-Wave (Wink also supports 433MHz Lutron and Kidde for integration with Kidde Connected Smoke and CO Alarms). We use many hubs in our research facility, but Insteon and Wink hub are among two of our favorites. Despite all the negative things people wrote about this hub early on, we find this first generation hub is really quite stable as long as you keep it at least 3 feet away from your WiFi router. The initial WiFi setup was tricky, but once you understand the timing required, it's pretty simple and it's not something you have to do all the time. We're also big fans of Insteon. Their products are well made, respond very quickly and they're very consistent. Initial setup can be weird and a pain at times, but once you get the hub online, adding products is as simple as pressing a button. No need to walk around with the hub to set things up. You may not think of Logitech Harmony when building a smart home, but this is a very important hub to bridge connections between devices. They support connection and control of Nest, Ecobee, Insteon, Philips Hue, Hunter Douglas, Samsung SmartThings, Lutron Smart Bridge, Honeywell, Rheem, Lifx Bulbs, and certain WiFi devices like Belkin WeMo and the August Smart Lock Connect bridge. In addition, they also offer ZigBee and Z-Wave compatibility by attaching a Harmony Hub Extender. IFTTT scripts can also be used to activate Harmony Hub Activities. They allow time-based activation, scheduling and grouping to create "Activities" that are similar to scenes used by other hubs. The ability to tie your AV control together with other home automation products is especially impressive when you control it all by voice. In our setup, the Amazon Echo handles this task. If you're into tinkering and custom scripts, the Samsung SmartThings hub is quite powerful and has a large user base. The latest version has local control, so even if internet access goes down, you can still control your devices. A recent announcement from Wink stated their hubs are slated to also get local control in the next update. All the other devices we've mentioned with the exception of Bluetooth, need internet connection for a user to control devices from an app, but local control at the light switches works even if the hub is unplugged. In other words, they survive the "babysitter test" since they are familiar looking wall switches and anyone can operate them without any training or prior experience. The Insteon and Wink hubs will also continue to control device timers even when the internet is offline. Of course we didn't forget. It's the most popular use case for the internet of things. We'll go into more detail in a later post, but we would advise that you strongly consider a connected stand-alone security system, the one exception is SmartThings which gets very high ratings as a connected alarm. However, we feel the system that will protect you, your family and your valuables should do just one thing and do it well. Leave the lighting control, leak detectors and other inputs to the smart home hubs to handle. 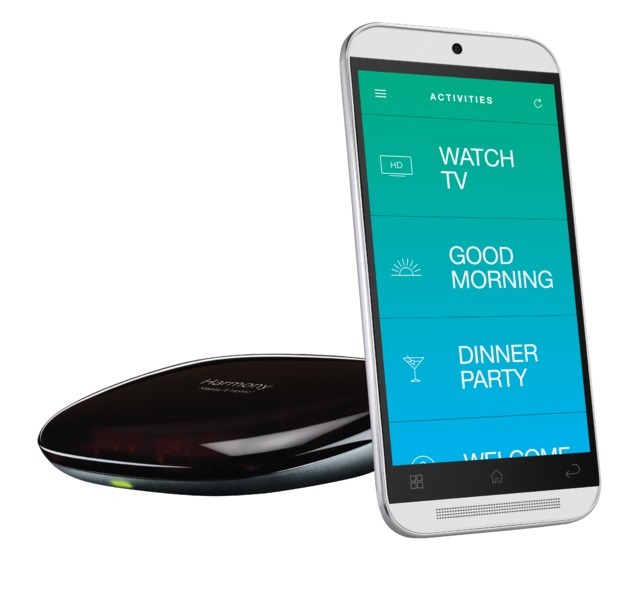 There are several good choices out there like iSmart Alarm, Scout, and Oomi. All are connected, all are relatively new to the scene. How about connected smoke alarms? Hands down it's still the Nest Protect v2. No other manufacturer offers as many features in a single smoke/CO alarm. In fact, it's such a good value for the protection and peace of mind you get, we suggest you just go buy one today, your lives are worth it. To keep cost low for the rest of the house where you just need a regular smoke alarm, you can receive notifications via any phone with the Leeo Smart Alert Nightlight. We like this more than most other options since it will phone any regular number. No smartphone data plan required to be notified of a smoke or CO emergency in your home. Want more? There's tons more, but for now these are the basics to help point you in the right direction and clear up some of the confusion. Keep checking back. We'll be telling you more about connected security solutions, Wink's revival and return from the brink, Amazon Echo in detail, connected multi-use buttons for your smart home and more. As always, you can find us on Twitter @smarthomeprimer posting and exchanging ideas around the latest news and development in IoT and smart home innovations. As can be expected, a lot has changed in a short time. • Apple HomeKit is rolled into iOS 10 making it easier to use than before and the choice of devices and functionality continues to improve, albeit at a slower and some would argue, more cautious rate than devices that operated via both Android and iOS without HomeKit compatibility. • Amazon Echo now has competition from Google Home. Although the edge still goes to Amazon as far as smart home control is concerned, the massive data and search capabilities behind Google are a serious threat to their market lead if Google is as open to developers and the proliferation of their voice services on non-Google hardware as Amazon has been with AVS. • IFTTT now has both stiff competition, and at the same time, collaboration from Stringify, a free service that allows flows with multiple input and output variables, triggers and actions. To our great delight, Stringify has acted on our advice to partner with IFTTT, allowing input from, and output to IFTTT applets. With this powerful partnership and support for nearly all the major smart home hubs and devices, Stringify is one of the most powerful means to connect otherwise disparate devices in your smart home. Like IFTTT, Stringify operates from the cloud, so there is no need to have an app running all the time. • Lutron Caséta now supports Samsung SmartThings; ZigBee Alliance and Thread Group's IP Network Protocol have joined forces to bring ubiquity to Thread and potentially better security to ZigBee in the future; and the Z-Wave alliance introduced the Z-Wave Plus certification program to help manufacturers and consumers move to more secure devices utilizing the Next Gen, Z-Wave 500 Series capabilities. • Wink 2 is out and now has Ethernet, WiFi and Bluetooth LE built-in. In addition to local control so your devices can still be controlled locally if your internet goes down, Wink has continued to expand their device support, which now includes August Smart Lock via their August Connect bridge. We're particularly pleased with this addition because it allows the exceptional August HomeKit Smart Lock to be controlled by Wink, Stringify, and Flic buttons. Flic recently added support for Wink via Wink Shortcuts. • Amazon now allows developers to integrate any smart home device directly to Alexa Voice Services via the Echo or any device that uses AVS. Most notably, you can now control your AV devices with Logitech Harmony Hub as if they were connected smart home devices, without using the nomenclature "Alex Ask..." or "Alex Tell...". As a side note, Logitech has added an Alexa Skill to "Ask Harmony" to expand voice control even further with commands like Pause, Play, Fast Forward, lower the volume, etc. and we're big fans of this new capability. We help big brands with the big responsibility to get it right.